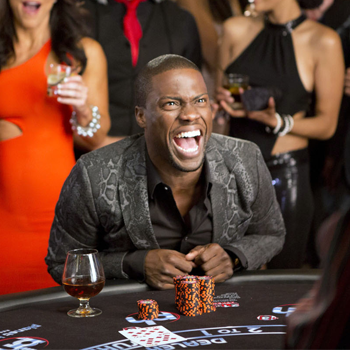 Comedian Kevin Hart has another big hit on his hands as the comedy sequel Think Like a Man Too landed at #1 for a likely $30 million weekend take. That's also big news for Sony Pictures, which also released #2 finisher 22 Jump Street - itself now well on track to join Summer 2014's $100 million club. Man Too was widely expected to do well, as ensemble romantic comedies aimed primarily at older Black middle-class audiences have overperformed frequently in Summer months (though not in any pattern the industry has learned to track). But the feature was possibly helped by lower than projected turnout for the Clint Eastwood-directed broadway adaptation Jersey Boys, which opened to lukewarm reviews and a disappointing #4 finish. Few studios bothered with major tentpole releases this week, as all other features in release are expected to suffer steep drops against Transformers: Age of Extinction, which is making a massive theatrical/3D/IMAX debut in the U.S., China and multiple other territories worldwide on June 26/27. The Michael Bay blockbuster - his first U.S./China co-production - is projected to dominate for at least two weekends; though analysts have to be keeping at least one eye on the July 4th bow of Tammy given the surprising overperformance of fellow R-rated comedies Neighbors and 22 Jump Street this Summer.